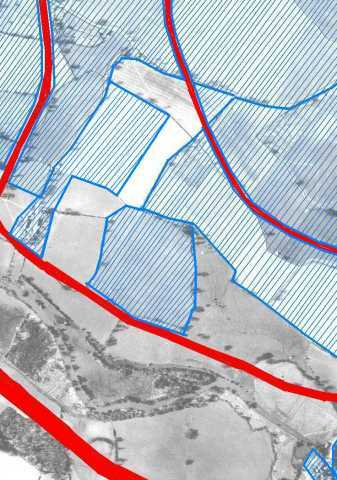 The area covered by this close-up of Lower Earley and Sindlesham is now largely built-up. It shows C utbush Lane running from left to right, with the old Maiden Erleigh Stud just off the top of the view. Cutbush Lane, which becomes Gipsy Lane to the east, was once the main route from Shinfield to Woodley, and with the coming of the M4 motorway, it merited a bridge similar in size to the A327 crossing further to the west. Once Lower Earley spread southwards, Cutbush Lane didn't fit in with the main distributor roads, and it is now a series of short rustic lanes threading through the modern developments. 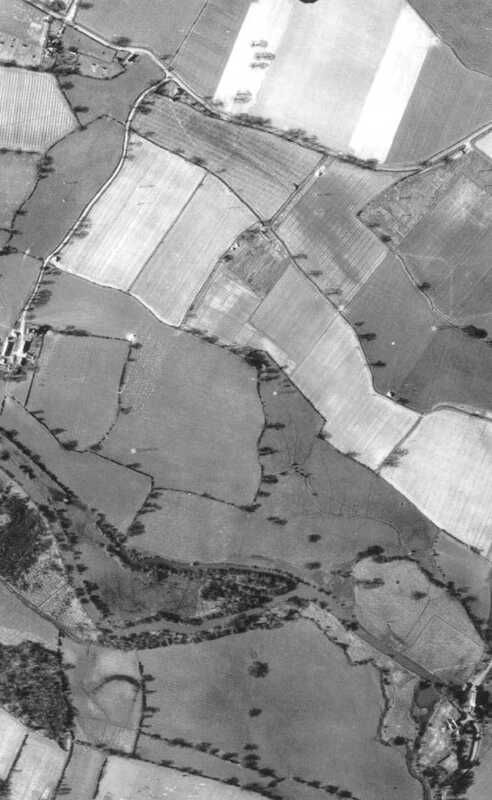 On the lower left of the view is Marsh Farm, now euphemistically renamed 'The Manor'; the field in the lower right is drained by a series of streams running like veins. Just below the buildings of Marsh Farm, the tops of three electricity pylons are given away by their distinctive shadows; the electricity cables run through Arborfield north-eastwards towards the Reading Road in Earley. On the far right at the bottom of the view is Sindlesham Mill. At the top left is now Meldreth Way, which meets Cutbush Lane at a roundabout, and at the top right is now Kilnsea Drive and the Maiden Place shopping centre.